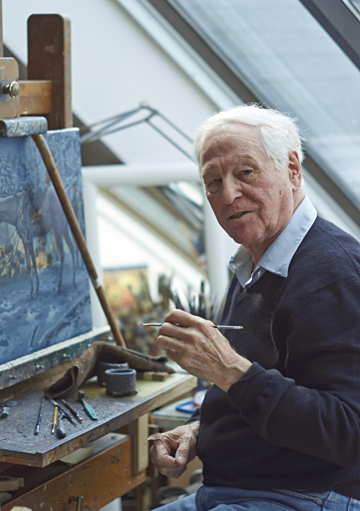 Photo of artist Mort Kunstler in his studio, 2014. Photo by Bill Killon for Norman Rockwell Museum. ©Norman Rockwell Museum. All rights reserved. 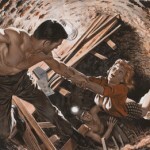 Known today for his meticulously researched historical paintings, Mort Künstler is also a prolific illustrator who has worked on a broad spectrum of assignments for more than sixty years―from paperback book jackets and men’s adventure magazine illustrations to movie posters, model kit boxes, and advertisements for prominent corporations. His dramatic, beautifully-crafted images, conceived in every possible genre throughout his outstanding career, will be the focus of this exhibition, which draws from the artist’s vast and highly-regarded body of work. 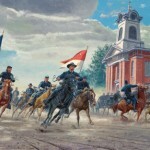 His romance, war, and sporting illustrations for True, Argosy, The Saturday Evening Post, Sports Afield, Outdoor Life, American Weekly, Men’s Story among others, and his contemporary historical paintings that capture the heroes and battles of the American Civil War, will be on view. This exhibition is generously supported by a grant from the Max and Victoria Dreyfus Foundation. Opening Event November 15, 6:00 p.m.
Imagining History: An Evening for Educators with Mort Kunstler November 14, 4:30 p.m.
Art of Adventure Family Festival Days: Tales of Adventure! 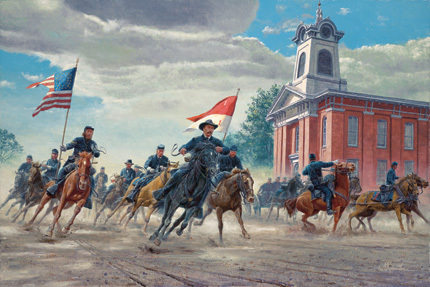 November 29, 1:00 p.m.
Race and Battlefield: Seeing and Not Seeing Civil War With John Davis, Ph.D. January 17, 5:30 p.m.
Picturing History: A Conversation with Artist Mort Kunstler and Historian Harold Holzer. February 21, 5:30 p.m.
Family Day! 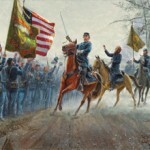 Bringing Civil War History to Life, March 7, 1:00 p.m.
1.Mort Künstler, Rendezvous with Destiny, 2007. Oil on canvas. Collection of the artist. ©Mort Künstler Inc. All rights reserved. 2. 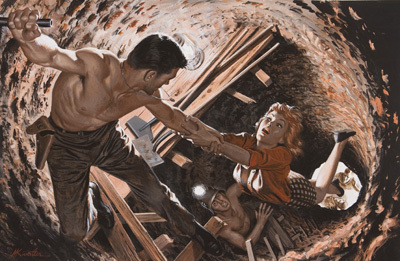 Mort Künstler, Buried Alive for Four Months, 1965. 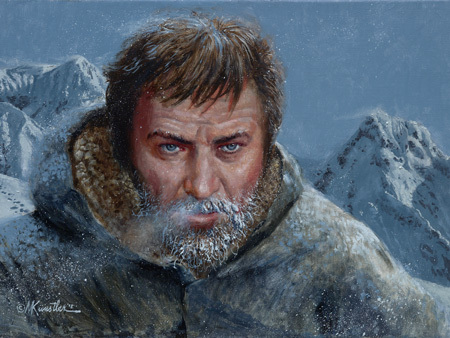 Story illustration for “Buried Alive for Four Months” by Richard Gallagher, Stag, Special Book Bonus, pgs. 12-13. Gouache on board. Collection of the artist. 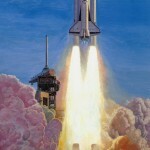 ©Mort Künstler Inc. All rights reserved. 3. 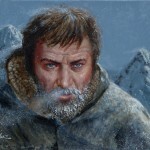 Mort Künstler, Warms Icy Man Chill, 2012 Advertisement for Maximus Vodka. Oil on Canvas. Collection of the artist. ©Mort Künstler Inc. All rights reserved. 4. 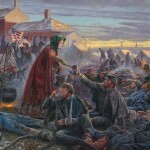 Mort Künstler, Angel of the Battlefield 2010. Oil on canvas. 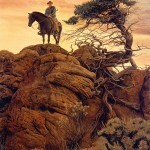 Collection of the artist ©Mort Künstler Inc. All rights reserved. 5. 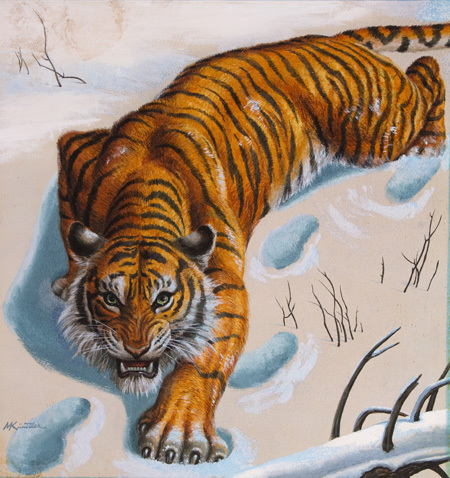 Mort Künstler, Siberian Stalker, 1956. Cover illustration for Male, February 1957. Gouache on board. Collection of the artist. 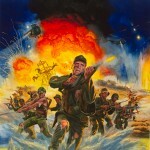 ©Mort Künstler Inc. All rights reserved. 6.Mort Künstler, Go Tell The Spartans, 1976. Gouache on board. Collection of the artist. 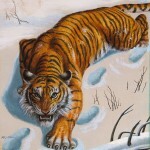 ©Mort Künstler Inc. All rights reserved. 7. 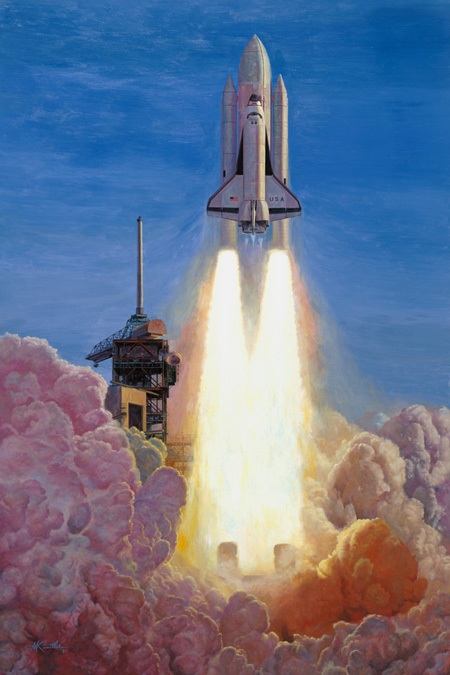 Mort Künstler, Launch of the Space Shuttle Columbia, April 12 1981, 7:00:10 EST, 1981 Illustration for Rockwell International. Oil on canvas. Collection of the artist. ©Mort Künstler Inc. All rights reserved. 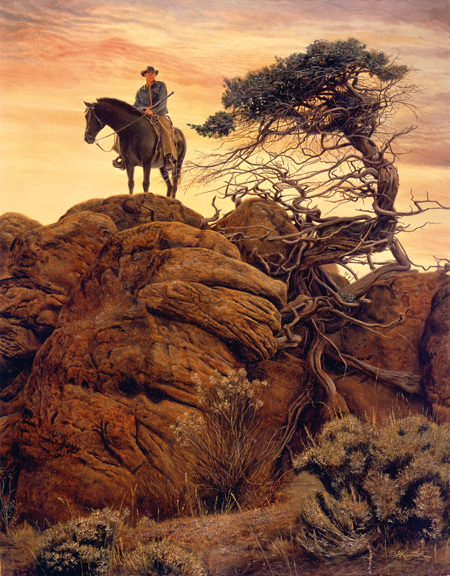 8.Mort Künstler, The Kansan 1973 Book cover, 1973, The Kansan by Richard Brister; Avon books Oil on board Collection of the artist ©Mort Künstler Inc. All rights reserved. 9. 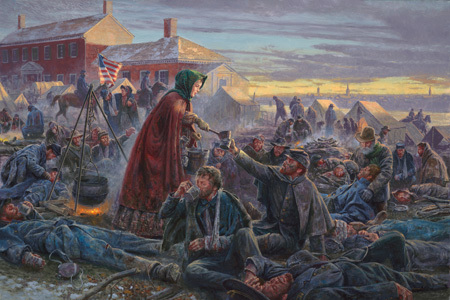 Mort Künstler, Absolution Before Victory, 2012. Oil on canvas. Collection of the artist. 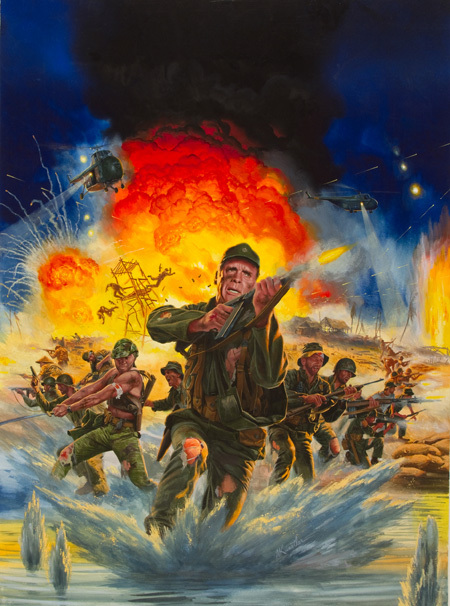 ©Mort Künstler Inc. All rights reserved.